Custom printed French Fry Bags are a perfect addition to any restaurant looking to extend their brand far beyond the reach of standard printed food service products. Gator Paper provides a complete line of high-quality French Fry Bags in a variety of vibrant colors, basis weights and sizes. If you’re looking for the perfect fry bag to work with any type of French fry holder, then you’re in the right place. Save money using French Fry Bags which are the cheaper substitute to fry scoop cups. Registered printing and full coverage printing are available. Minimum orders for custom printed French Fry Bags start at five cases. Gator Paper can help your restaurant seize every branding opportunity possible without breaking the bank! Numerous French Fry Bag sizes available. Great branded product for any size restaurant! 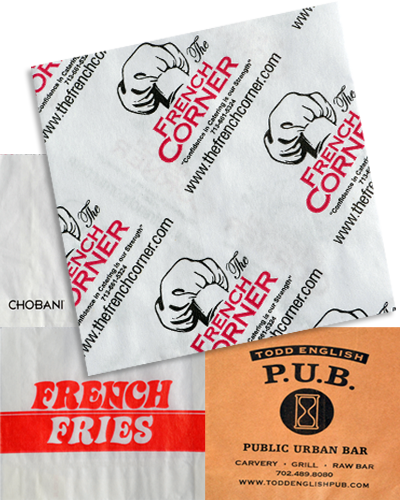 Custom Printed French Fry Bags can help take your branded image to the next level! What is the minimum order for custom printed French Fry Bags? The minimum order requirement for custom printed French Fry Bags is 30,000 pieces. Our ability to offer small order minimums eliminates your need for additional storage space. How long will my French Fry Bag order take to print? Four to five weeks is the standard production time for all custom printed French Fry Bag orders. Rush orders are available for an additional fee when the production schedule allows. What are your French Fry Bag printing capabilities? Three color spot PMS printing and full coverage printing available. We can match any PMS color on the chart. Need a price quote on Custom Printed French Fry Bags? Contact us today! 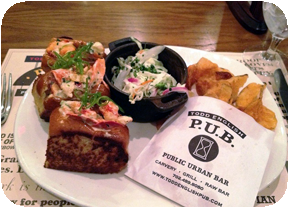 Our custom printed Dry Wax Deli Paper is a great addition to any branded food service project. See how Gator Paper can help coordinate your branded image with custom printed custom printed Dry Wax Deli Paper!